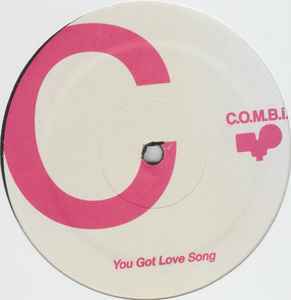 You Got Love Song is an edit of Front Page's "You Got My Love"
It A Late is an edit of Village People's "5 O'Clock In The Morning"
The mysterious combi Label return with the second release of Japanese edits, Rumoured to be brought to light by the Rub N Tug troupe. Two cuts here with the A side sounds of 'You Got Love Song' working in an energetic, String and horn stab-led disco manner before the full vocal comes in later on. Over on the B, 'It A Late' slows things down but bigs things up in the drum department, Not to mention the dirty, Driving punk funk bassline which morphs mightily into a ethereal frugger. Massive and limited! The First combi - Is still rockin the parties I'm Playing at and always gets everyone up ! I expect the second helping will do so aswell.